Have you ever heard of Plex? Of course you have, why else would you have come here! So, you have made the big decision and want to put all your media (Pictures, music and video alike) in a network enabled device so you can access anywhere in the home, anywhere in the country and indeed, anywhere in the WORLD. However the entire task can appear quite daunting to those who are less versed in the wonderful world of data storage and the learning curve quite steep. To assist in this arena, many companies have delved into the service of helping you share your data. Chief among them is Plex. Giving you the ability to not only share all of your data to more devices than any other service, they will also fill in the blanks in your catalogue. Providing Thumbnails, filling in descriptions and sorting your digital media files in a far more pleasing user interface. Think of the likes of Amazon Instant, Netflix and over Video on Demand (VOD) services and they are just a small bite of what Plex Media Server can give you. When it has media information, alongside with the available settings settings (such as Direct Play, Stream Quality, Direct Stream settings), Plex will determine whether it can play the media directly from the NAS as it is (Direct Play) or whether it will need help from the Server to adapt the file. If Plex requires hardware assistance, the NAS will automatically attempt to transcode the media file to a format that the Plex software on the destination device can use. The Plex software on the destination device will continue to play the file in the new format and will continue to do so as long as the NAS can continue to trancode the media quicker than the file is played. Otherwise the NAS will automatically downscale the file more to ease transit (lowing it to 480p for example). As well as the Subtitle format(SRT, VOBSUB and PGS. Be sure to check the media formats on the bulk of your collection to ensure that the media output you require is possible with the NAS you have in mind. How to choose the right NAS for a Plex Media Server - Which CPU? So now you know about Plex Media Server and Transcoding. Now the most important bit… the Hardware. Just because a NAS is expensive, doesn’t mean it is suitable for your perfect, 1080p Plex NAS server. A number of factors effect a Network Attached Storage unit’s ability to comfortably run a Plex Server, from Memory and Manufacturer to software and Plugins. However the most important factory of all is the CPU. The processor of the NAS device is important because within its coding, it will have its own strength and weaknesses in the field of transcoding. Typically NAS units use one of three kinds of CPU. An x86 Processor – A high end chip that (if more than 2.0Ghz in frequency and dual/quad cores) will be able to handle transcoding with relative ease across all your Plex enabled devices all the way upto 1080p High Definition and is even popping up in 4K UHD Devices. These are typically found in the majority of QNAP and higher end Synology devices. An ARM Processor – These are less proficient than the x86 chip and will struggle transcoding at 1080p and may even have difficulty at 720p High Definition. These are typically found in home and small business units (Synology 2 BAY units, as well as WD My Cloud and Seagate NAS). However they are still a very prominent CPU and an excellent NAS processor in general. A PPC (Power PC) Processor – Very much the lower end of the spectrum. These Processors are not particularly capable of any kind of real-time transcoding and will struggle to give you the optimal output via your Plex Media Server to your Network Enabled Device. We generally do not recommend them for in a Plex Media Server environment and are found in low end, budget NAS devices. I'm confused, can you recommend a NAS for my Plex Media Server? How and where do I sign up for Plex? How much does Plex Cost? The Plex Application for your NAS, Mac, PC, Android device is free and available in the NAS App store, iTunes and Google Playstore at no additional cost. Though the free apps, serving as an excellent introduction, will soon feel limited and we advise that if you upgrade to the Plex Pass subscription service for vastly improved options and add-ons. 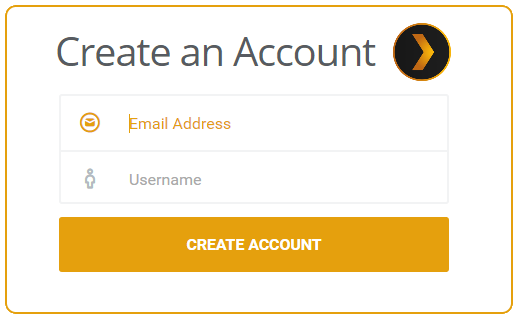 To begin setting up your Plex Media Server, you will need to head over to Plex and set up your account (use the below link) so you can have all your movie, TV show, music, and photo collections at your fingertips. Anywhere you go, on the devices you love. If however you wish to skip straight to the good stuff and set up your Plex Pass Membership immediately so you can get your Plex Media Server at 100%, use the link below to take walk you through setting up your Plex Pass today! I just bought the Synology 1517+ , would you say it is a good buy for HD1080p or should I have got the 916+? Great intro to an otherwise confusing topic, thank you. Could you please comment on the situation with the increasingly prevalent HEVC/x265 file type? Is the processing power required to transcode this beyond any current NAS models? Could a PC with a plex media server on the same network as the NAS simply be used to play these files? Cheers. Yes, you can install the PLEX application , but transcoding will not really be possible. I have a Thecus N5550 and am condidering Plex. Will the Intel® Atom™ Processor D2550 (1.86GHz Dual Core) be enough? Also it has 2GB ram but can be upgraded to 4 should I? Fan Speed Mode: (Cool Mode Quiet Mode) . Noise Level 27.1 dB(A) . Any reason you would recommend the QNAP TS-253-PRO over the new HS-251+ or the TS-251+? I need to transcode 1080p using Plex and like the idea of the HS-251+ fanless design (should be quieter). Will plex mediaserver run on a ds216play ?